It’s that time of year again – the worst fashion show of the year. Well, almost. 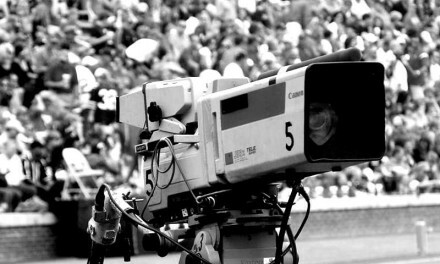 The Premier League clubs are almost all kitted out for the new season, with only a handful of notable exceptions. A couple of clubs are staying as they were this season and Portsmouth will be keeping their fingers crossed that they don’t sell out of replica shirts after the closure of Canterbury Clothing Company, but the overwhelming majority of clubs have not been able to resist the temptation of all that lovely lucre and gone for it for the 2009/10 season. The results, in general, have been mixed, to say the least. The 1980s have finally been deemed to be back in fashion, and there are one or two clubs that have decided to be, well, “futuristic”. Here, then, and with my tongue firmly planted in my cheek, before anyone starts getting outraged) are the results. Arsenal: No new home kit for Arsenal this season, so they will be continuing to look a little bit like Charlton Athletic. They have, however, brought out two new away kits, one in blue and one in white. Nike seem to be going for the “sports casual” look this season but these seem to work reasonably well. They really, really need to bring back those white sleeves, though. Aston Villa: Villa are waiting until the 13th of August before announcing their new kit, for some reason. Are we that excited about it? If we were guessing, we would hazard that it will be claret and will almost certainly (though not definitely) have sky blue sleeves. 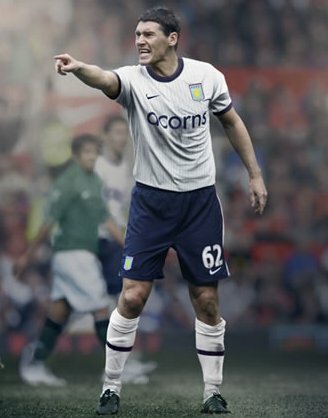 In the meantime, we’ll have to console ourselves with their new change kit, which recognises that the Villa have provided more England players than any other club. Get your money on them to get knocked out of the FA Cup in the quarter-finals on penalties, then. Birmingham City: At the risk of sounding like a stuck record, how difficult can it be? 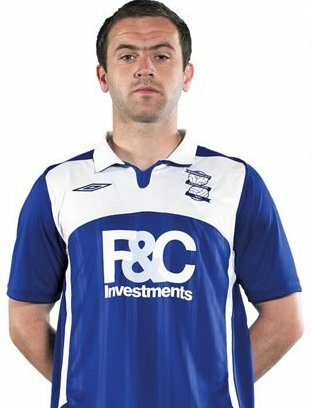 Birmingham City: blue shirts and white shorts. Stick a penguin stripe down the middle of it if you’re feeling rakish. Umbro, however, have decided that they know better and have come up with something that looks like anyone wearing one is wearing a bib over the top of a football shirt. Nasty. Blackburn Rovers: There will be envious glances from St Andrews when they see the vast majority of other kits that Umbro have designed this summer, which seem to have taken great care to point to something in the club’s past. 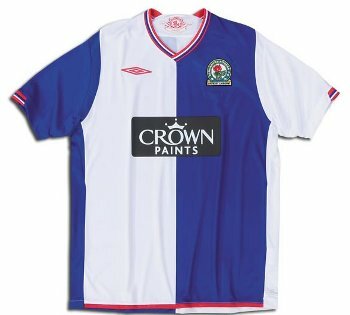 The new Blackburn shirt, for example, is a nice clean design with an attractive tricolour collar, and is only let down by Crown Paints not trying nearly hard enough with their sponsorship logo. Bolton Wanderers: You might have thought that Reebok couldn’t outdo the monstrosity that they managed for Bolton last year, yet somehow they’ve managed it. Perhaps they’re getting complacent after donkey’s years as the clubs kit manfacturers. This, umm, “thing” seems solely designed to frame the sponsor’s logo, which is none too attractive itself. 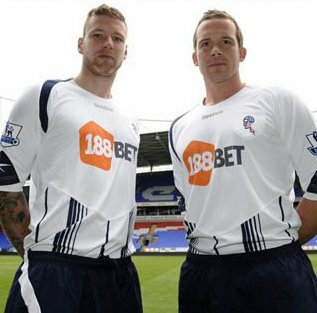 Again – white shirts and navy blue shorts. It’s not that difficult. Burnley: Errea have been making some of the best kits of recent years for Burnley, but they have excelled themselves this year with a special kit to commemorate the fiftieth anniversary of their last appearance in the FA Cup Final. They have also agreed for their logo to be left off the shirts. 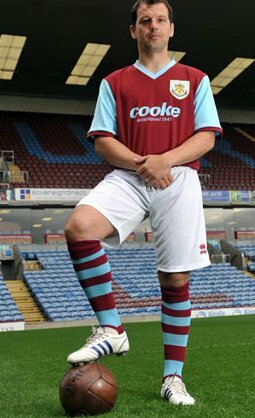 Burnley should be made to wear this kit forever. Now, if they can get permission to use that brown lace-up ball, the look will be complete. Chelsea: Chelsea, meanwhile, have decided to go for something ultra-modern. Some unkind observers have commented that they seem to have built a training bra into their new shirts for Frank Lampard, whilst others have pondered whether the gladiatorial breast plates are a precursor to Petr Cech playing outfield for them. I prefer to think of it as Ming The Merciless’s away kit. 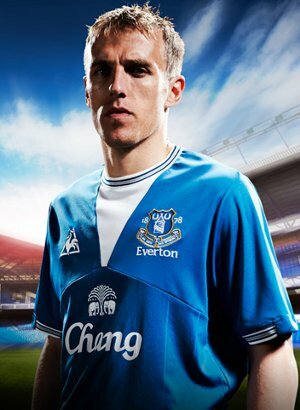 Everton: The Blues get retro wrong. It should’t have been too difficult for Le Coq Sportif to replicate the 1984 FA Cup Final shirt, but they have managed it here by getting the V-shaped collar monstrously too big. Also, this picture features a curious choice of “model” in the hitherto undiscovered (from a modelling perspective) Phil Neville. Mean and moody, a post-football career on the catwalk awaits. Probably. 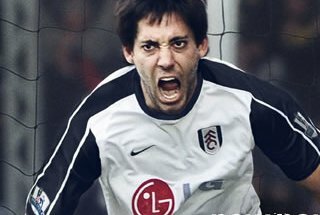 Fulham: Fulham keep it blessedly simple this year, with black sleeves giving them a distinctive look to set them apart from all of those other teams in white shirts. A solid number – not sure why the model is looking so angry about it all. Perhaps he’s just found out that he’s going to be transferred to Birmingham City. 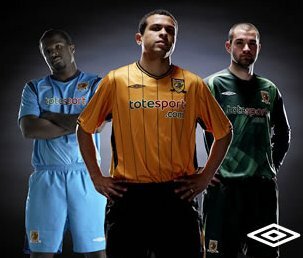 Hull City: Umbro get it right again, with a Hull shirt that harks back to the pinstripe-clad days of the early 1980s. It’s not long now until “retro” reaches the early 1990s and they have to take the pitch in a tiger strip design shirt based on their infamous number from around 1992. 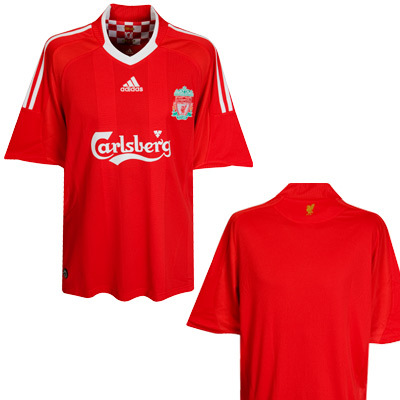 Liverpool: It’s as you were for Liverpool, who are sticking to last season’s design for a second year. None of this has stopped them releasing a black away kit and a white “European” third kit too, by the way. 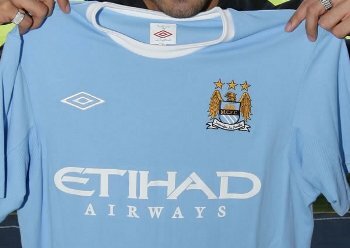 Manchester City: If City do manage to break into the top four or – heaven forbid – somehow manage to win the Premier League this season, they’ll do it wearing one of the best shirts in the Premier League. Umbro have again tapped into the heritage market with a shirt that recalls the golden days of Colin Bell, Francis Lee and Mike Summerbee. One minor quibble – it looks as though the collars might not be white. Still, though, this is a very strong look. Manchester United: United, meanwhile, have decided to go with something “revolutionary” and “new”, and the result is pretty uninspiring. The chevron may or may not be deliberately pointing at their failed insurance company sponsors, but that is really besides the point. 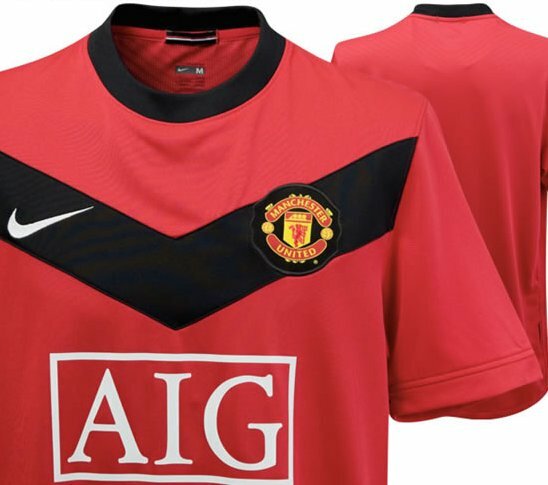 Manchester United shirts should be red and white, not red and black. Spurs: Another chevron and, if anything, this one is even worse than the Manchester United one. Puma have an obbsession with these this season and this is one of the worst. Quite what yellow is doing on a Spurs shirt is beyond me. 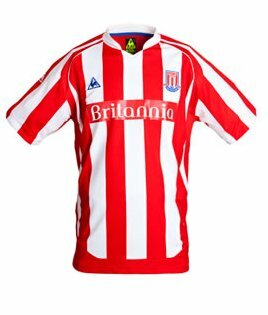 Stoke City: Stoke City will do well to matche their achievements on the pitch from last season, but they have at least improved their shirt for this season, with Le Coq Sportif bringing back more narrow stripes and a nice, streamlined looking coming together of the stripes at the top of the shoulders. Sunderland: A slightly anonymous looking kit this year for Sunderland from Umbro, which at leasts begs the comment that “at least they haven’t got it disastrously wrong”. Still, Sunderland supporters will look at Newcastle’s horrific away kit for next season and perhaps draw a sigh of relief that anonymity isn’t always such a bad thing. 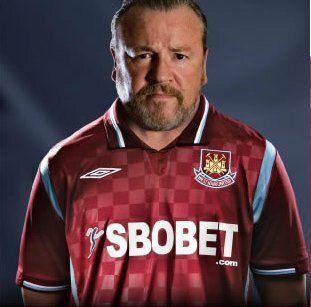 West Ham United: Well, Ray Winstone doesn’t look to happy about it all, does he? West Ham United have gone something a little radical this season, ditching the sleeves and adopting a chequerboard design which has (metaphorically rather than literally, of course) “1989” stamped all over. 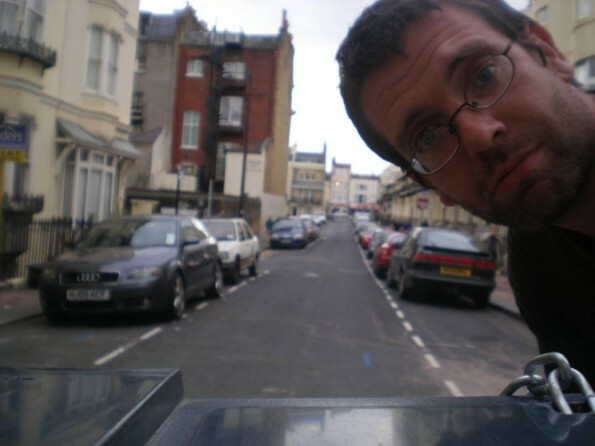 It takes a little concentration, but this is something of a slow burner. 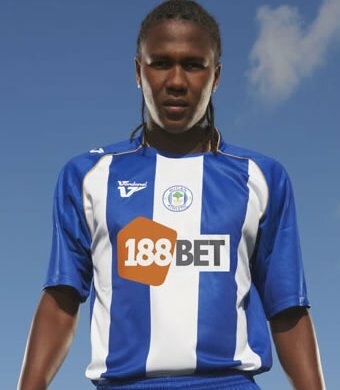 Wigan Athletic: There’s never much to say about Wigan Athletic kits, is there? This one could do with slightly thinner stripes, but it’s a reasonable Wigan debut for Vandanel, who are more closely associated with lower division and non-league football clubs. Wolverhampton Wanderers: Well, Wolves are back in the Premier League with a reasonably ordinary shirt, but there is a problem with it, which is that the old gold seems to have turned into a tangerine shade of orange. Unless the saturation was wrong on every picture that I have managed to find of it, this looks like a little bit of a missed opportunity. Great roundup. Your critiques are spot on. Wolves and Man City share the glory for best kits. Simple is always best. No ridiculous piping or splotches or panels. The comment at the end of the West Ham one pretty much sums up Carlton Cole’s career. 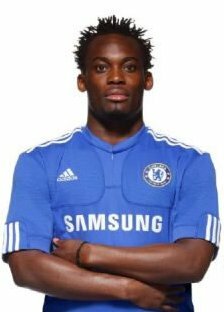 Why do clubs not write a clause into their kit contracts that reads something a little like ‘thou shall not mess with the heritage of this club and change the colours et al’?! Puma have been having a laugh at Spurs fans expense for a number of kits now and this latest little number continues that trend. It is, as you say, not hard; White shirt, blue shorts. Are the keepers still required to supply their own kits, or will the teams finally begin supplying them with jerseys that resemble those of the rest of the team. We don’t want a repeat of what happened in the 90’s, when goalies dropped acid and designed their own kits.